old well-loved jeans with a hole in the knee + new *stitch* fabric = JOY! Love it!! 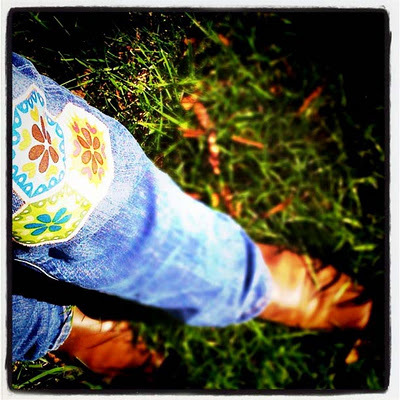 My jeans are past the point of patching… but I’m SO going to do this on my next pair of jeans! This print is *perfect* for it.